For upcoming events and news for Weeks 4 and 5, please follow the link https://merici.college/go/whats-on-weeks4-5. It's official: January 2019 was Australia's hottest-ever month on record going all the way back to 1910, according to the monthly climate review released by the Bureau of Meteorology (BOM). Merici College’s 2019 Swimming Carnival saw students compete in traditional stroke and novelty events. The carnival allowed many students who have spent very early mornings involved in local swim squads to showcase their talents and also provided an avenue for all the girls to take part in a challenging activity. We would like to congratulate our students for their wonderful dance performances on Sunday 17 February at the Multicultural Festival. It was fantastic to see so many students and community members out in the crowd cheering the girls on! If you would the Dance Troupe to attend your event, please email information@merici.act.edu.au for more information. Here at Merici we will be focused on reducing our energy use this term with a view to gaining our Energy Accreditation from ACTsmart Schools. This means switching off appliances including lights and air conditioners when leaving a room and running air conditioning at sensible temperatures. For example, if it is 35 degrees outside, 26 degrees would be a good temperature to set your cooling systems. We are very excited to provide students with a wide range of support and enrichment activities this Semester, as well as an exciting competition. Please see the attachments below to find more information. It was with great pride and appreciation that Mrs Loretta Wholley and members of the Leadership Team presented academic awards to students on Monday 11 February for their achievements in Semester 2 2018. Mrs Wholley addressed the students, recognising the achievements and hard work of all students. “As students at Merici you are called to: Be compassionate and faithfilled young women who reach out to others and are a powerful voice for those less fortunate. In December of 2018, I had the privilege of accompanying a group of girls to the US for the CASE Senior Space School. While my group was composed of girls from Sydney, a small group of Canberra students, including two from Merici, were in another group along with the Queenslanders. 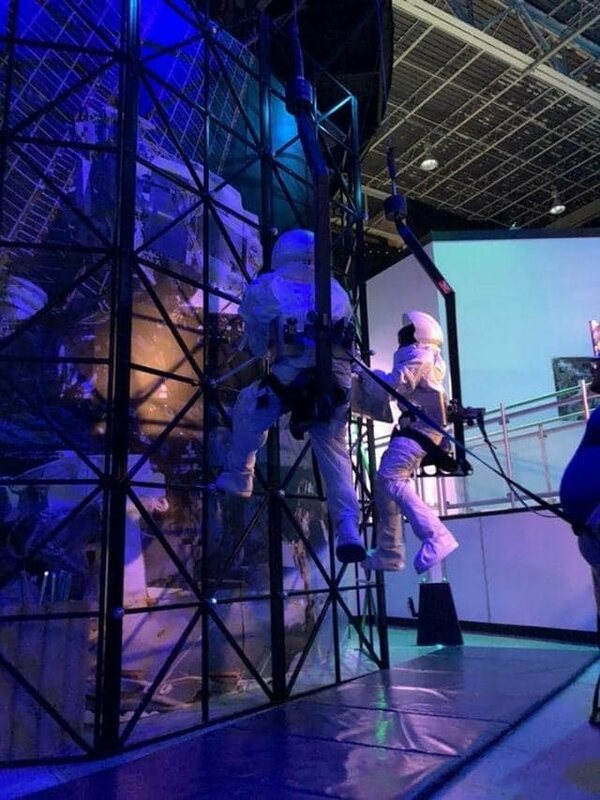 Our two weeks were spent in Houston, Texas, with a mixture of educational activities and challenges, space-related experiences, and a number of dynamic and interesting speakers and guests.